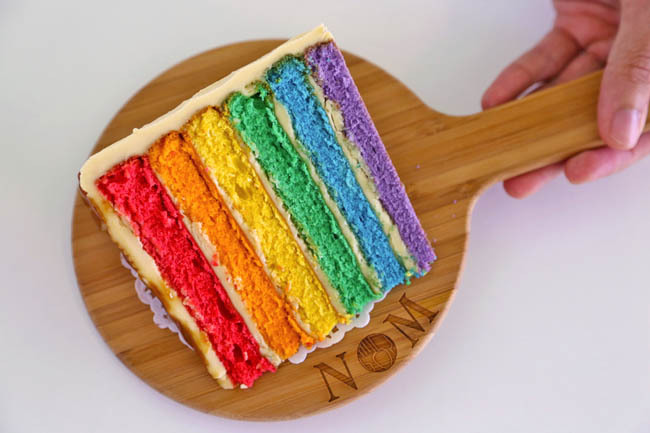 The pictures of NOM’s (No Other Meaning) rainbow cake have been surfacing all over instagram. People still love these super sweet 6-layered cake. What others do, NOM does it better. Theirs come with outer layers of chocolate, oreo or salted caramel. Gulps. They win. 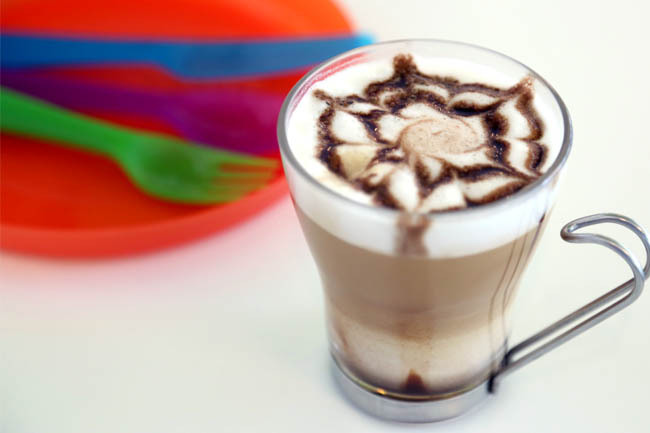 The people behind NOM are no strangers to the bakery business; they used to be from Yesterdae Café. This is their big step to a full serviced restaurant with a bakery, with a cause for social enterprise. For a small outfit, their menu is quite extensive – from soups, salads, light starters, hand-rolled thin crust pizzas, mains (mostly burgers) to all-day breakfasts. As this is located at a community club, prices are still kept reasonable. 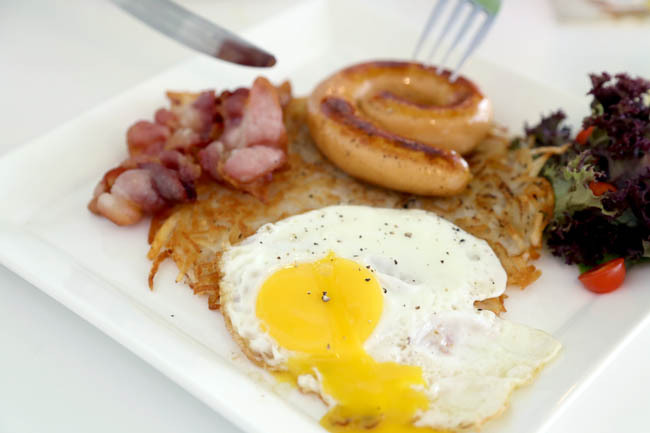 I had the Breakfast Rosti ($14.90), topped with bacon, fried sunny side up, and a cheesy chicken sausage. It tastes as per the description, nothing fanciful, but not too bad. I wished there was a thicker layer of the potatoes. 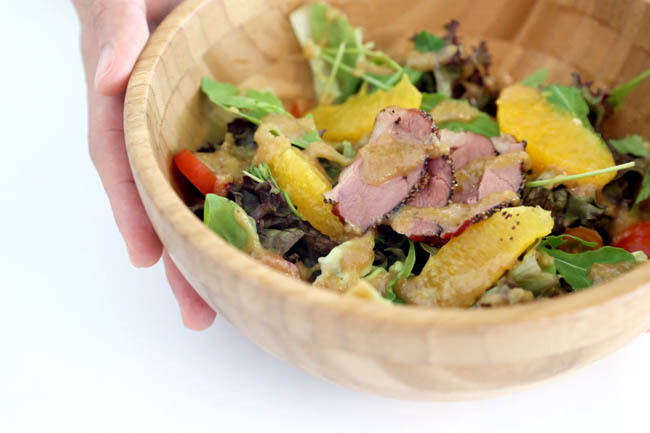 We were recommended to have the Orange Duck Salad ($7.90) which turned out to be a uplifting take from the tanginess of the orange fruit, and fragrance of the Japanese goma sauce. (Though the presentation reminded me of The Green Bar’s). I wished there was a bigger portion of the greens, with salad more substantial and piled up, but I also recognise that the price is inexpensive. As for the rainbow cake ($7.90), it is one of the prettiest and most photogenic around. The sponge is moist and soft, probably better than half of the rainbow cakes out there. Though after having about a quarter, I found the sweetness too much to take, especially since I ordered a salted caramel one which compounded the saccharinity. If there was a dark chocolate version, it probably would have worked best. 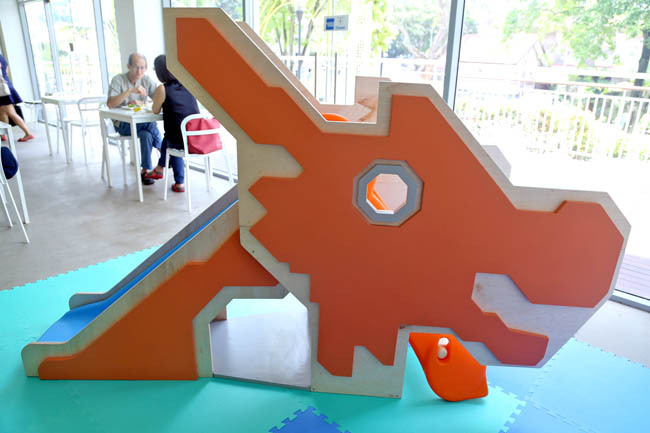 NOM is likely spent quite a fair bit in its design, and we noticed some good utilisation of space. My sense is, NOM is likely to attract young families more than hipsters, which may not be a bad thing at all. Do check out their other varieties of cakes, and customised ones – all very pretty. 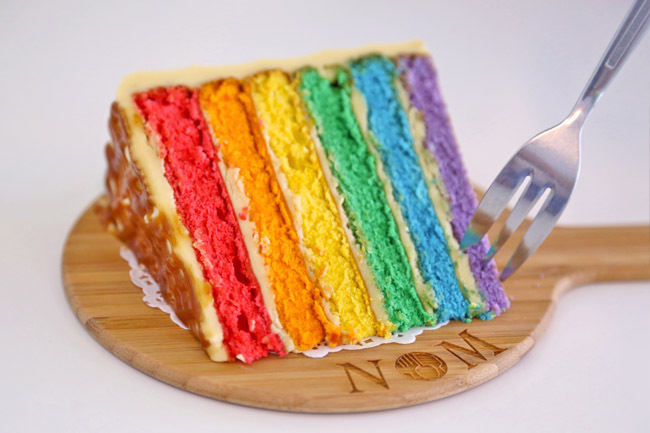 Omg, that rainbow cake! 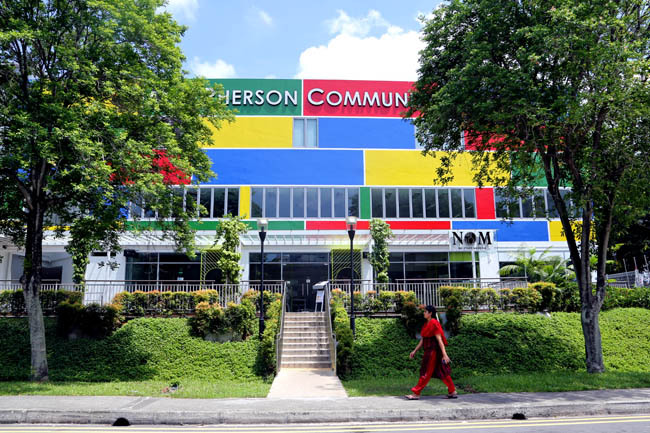 I must visit this place soon! I tried that, cakes looks pretty but rather dry and ge lad to finish. Try la petite Patisserie lychee lime rainbow cakes. Slups! Heavenly good…. NO, definitely wouldn’t recommend this place to anyone! I’m doubting this restaurant so much, with all the good reviews, wondering if people are being paid to write these reviews. First, the rainbow cake is definitely over-rated. It’s DRY and , not moist and soft at all like. Totally contradicting the good review. $7:90 is definitely a rip off! :/ Totally disappointed, i woudn’t even pay if it only costs $2. Lastly, the cake portion is so small. Very upsetting trip to this restaurant.